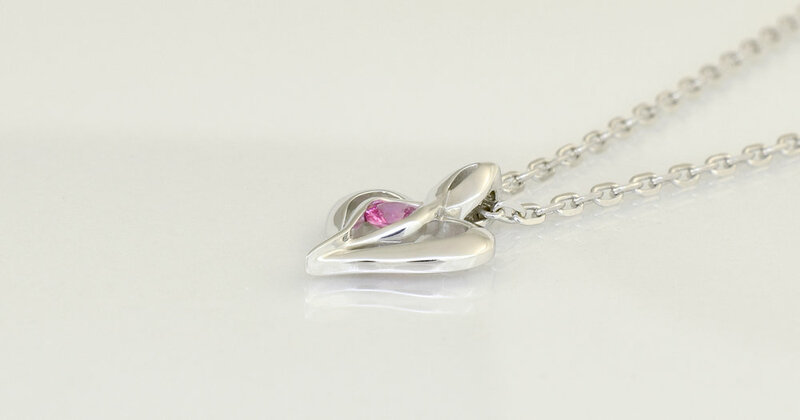 With Valentine`s day around the corner I added this pendant to my range of non commissioned pieces ready for purchase. The main gem is a Ceylon Pink Sapphire tension set into the infinity loop that passes through the middle of he heart. From top to bottom the pendant is approximately 1.8cm. The pendant was made in 9ct white gold and comes on a 50cm 9ct white gold diamond cut cable chain. The pendant and chain as shown are $490 for the set. More details in the shop here. Please contact me for built to order options in the precious metal and gemstone of your preference in this design.